Reno casino goes beyond largest display, creates video atmosphere. The Peppermill sportsbook's big picture—a seamless, 2.5mm, 110'Wx12'H direct-view videowall. 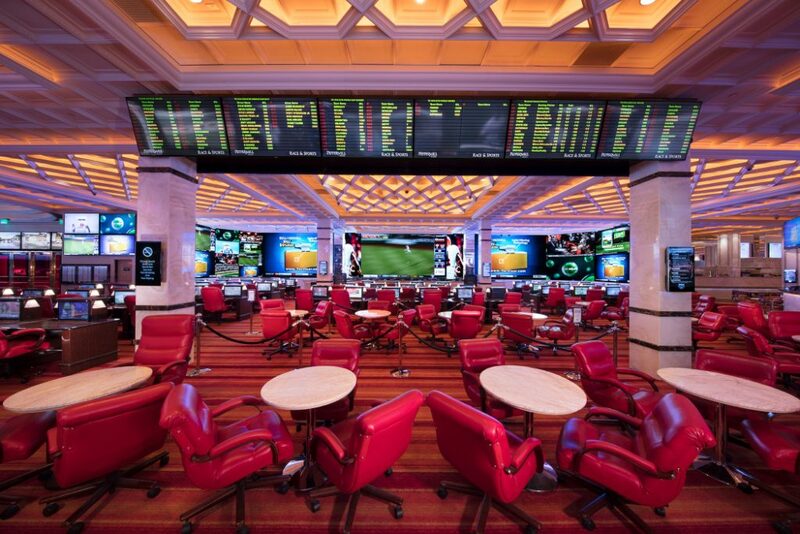 It was the largest in any sportsbook in the country when it was installed last year. The Professional and Amateur Sports Protection Act, enacted in 1992 to define the legal status of sports betting, had effectively served to outlaw it on a national basis, with a few states, namely Nevada and New Jersey, excluded. Last May, however, the US Supreme Court ruled in a case that the law violated the 10th Amendment of the US Constitution. The ruling opened the floodgates for activity centered on sports betting, and one of the collateral benefits to that was a jump in activity around casino sportsbooks. Existing venues saw revenues soar almost immediately; for instance, New Jersey’s sportsbooks reported $40.7 million in wagers in July, the first full month after the ruling; that was nearly triple the previous month’s figure of $16.4 million. Since then, it appears that surge in wagers might also be fueling a wave of renovations in the sportsbook vertical. A perfect example of that—indeed, an illustration of how far casinos are looking to push the envelope for design and AV in their betting parlors—is found at the Peppermill Resort Spa Casino in Reno NV. The 1,621-room resort recently completed a $3.5 million upgrade to its 82,000-square-foot casino and sportsbook, which was voted best race- and sportsbook by Casino Player magazine in 2015. The refreshed sportsbook reflects Peppermill’s deeply held emphasis on aesthetics—lots of red leather, walnut burl, and a high coffered ceiling that provides both classy indirect lighting (intentional) and some de facto acoustical treatment (unintended, but entirely welcome). 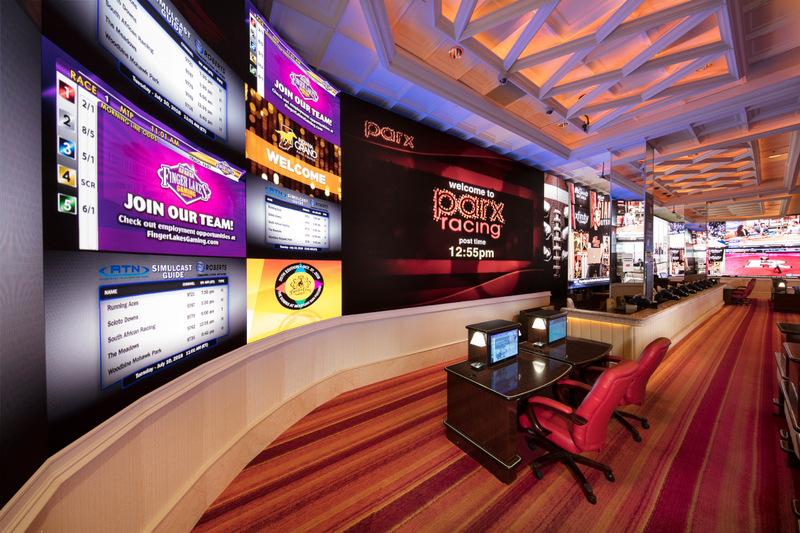 A custom mount enables the far ends of the sportsbook’s huge videowall to curve out 90 degrees 35 feet from the center. Peppermill also has something else, though: a seamless, 2.5mm-pitch, 110’Wx12’H Samsung direct-view videowall. 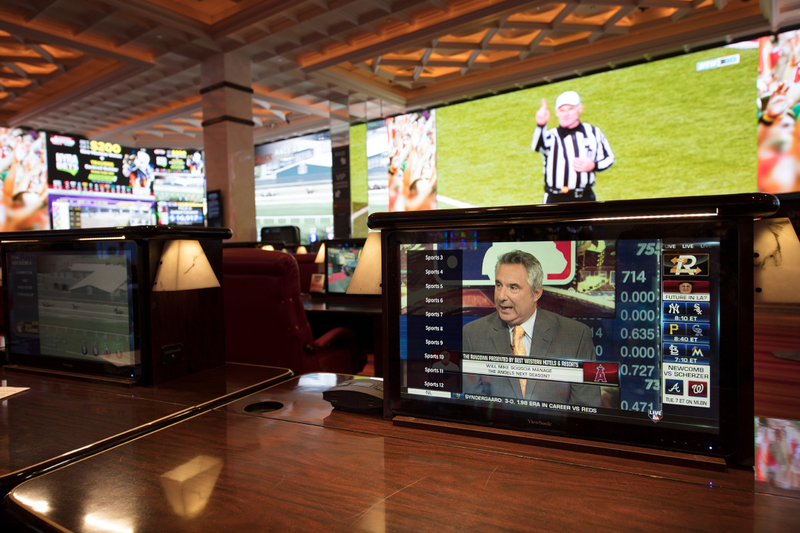 It was the largest in any sportsbook in the country when it was installed last year. With its tight pitch, the wall was ready for ultra-HD video as soon as it was installed, and it was showing 4K content from day one; much of it consisted of dazzling iterations of up to 30 NFL, NBA, NHL, MLS, NCAA, etc., games from DirecTV, all being shown simultaneously. However, plenty of content is produced by the casino’s production division, Entertainment, Electronics & Media (EEM), which used casino Co-Owner William Paganetti’s private jet to send an 8K RED digital camera around the world to capture and create original content. Trademarked as “Windows on the World,” the content acts as video motion art displayed throughout the casino; in particular, it’s displayed on a dedicated 10-foot stretch of the videowall. The person who directed those video productions is Joe Ness, who heads up the EEM division. He also knows all the wires and sockets in the sportsbook intimately, because he supervised their design and installation. Peppermill likes to do things its own way, and that extends to how it approaches AV integration. For much of the past two decades, locally based Quantum AV had been the casino’s systems and integration-services AV vendor. 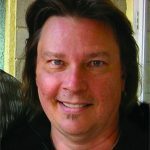 But Ness, who founded Quantum AV in 2002, was also a veteran video producer who had credits on MTV in the 1980s. After Paganetti saw some early digital signage with which Ness had been experimenting—shooting video sideways and running it through an HD display at home on a rotating mount that he oriented to portrait mode—the casino magnate gave him carte blanche to create original video for the casino. After a $500 million property expansion in 2007, he ultimately acquired Quantum AV to bring its technical capabilities in house. When it came time to update the casino’s sportsbook, those substantial in-house skills were utilized. The huge videowall dominates the renovated sportsbook, and copious amounts of red leather and walnut burl give it a traditional air. But its high coffered ceiling also provides classy indirect lighting and some unintended, but very welcome, acoustical treatment. “We’ve been supplying sportsbooks around the country with videowalls for years, and we’ve been working with Peppermill for 17 years, but this was our biggest indoor screen ever and it was the first direct-view wall,” Christiansen said, adding that he had anticipated last year’s Supreme Court decision would help turbo- charge the sportsbook AV market. KniTec’s technicians measured the area intended to house the new videowall, and they worked with Ness’ team to calibrate its 433 rectangular direct-view cabinets, each of which is composed of six individual tiles. They are locally managed by five Samsung ultra-HD S-Box signage players (or, more colloquially, “snow boxes”), which transmit ultra-HD content across multiple LED displays without requiring external boxes or a splitter (and which knocked more than $100,000 off the budget). According to Christiansen, Samsung’s unique tile configuration, which permits access through the front of the wall, makes it easier to replace individual failed tiles; that was a major selling point for the casino. “You don’t have to deconstruct the entire wall to get at an individual tile,” he said. The Box Seat VIP booths in the sportsbook not only get a feed from the main videowall to their touchscreens, but also get a nice view of the wall itself. Devine said he had recommended that PDS do the installation of the mount and wall. “It’s just critical to get these installations right the first time,” he stressed. “In the space it is installed, there was only one quarter-inch of room for error from left to right.” However, when Peppermill’s staff decided to do it themselves, PDS put together one corner of a mount-and-panel assembly as a guide, and then shipped that and detailed instructions to the casino. PDS also remained available for consultation during the 10-day installation period. What further complicated things was the sportsbook’s not being able to stop operating during the renovation. Christiansen estimated that to shut down during installation could have cost as much in lost revenues as the videowall itself cost—more than $3 million. Therefore, an immense drape was put in place over each section of the wall as work progressed, with the remaining video displays used until their areas were overtaken by the expanding Samsung behemoth. Ness said that, had the project team been compelled only to work very late nights and early mornings, it would have taken as long as three months for them to complete it; instead, it was done in 10 days. (Besides, in truth, there’s never a good time to close a sportsbook in Nevada, right?) “We did it right after the Kentucky Derby, and, a week before the Preakness, we were open,” Ness added with pride. As the videowall was being installed, Peppermill’s technicians were also running cabling back from the wall to a control room, where the S-Box signage players and DirecTV modulators sat in racks alongside BrightSign and Scala distribution systems for the other video displays in the sportsbook. Those displays include Samsung screens used to show scores, as well as 24-inch ViewSonic touchscreens for the private Box Seat betting booth area of the book (which receive a feed from the main videowall). In addition, two Samsung 85-inch 4K displays are each divided into 16 different view sections, providing 32 separate preview monitors for the various content feeds. A pair of Crestron CP3 3-Series control systems serves to manage all the signal distribution. 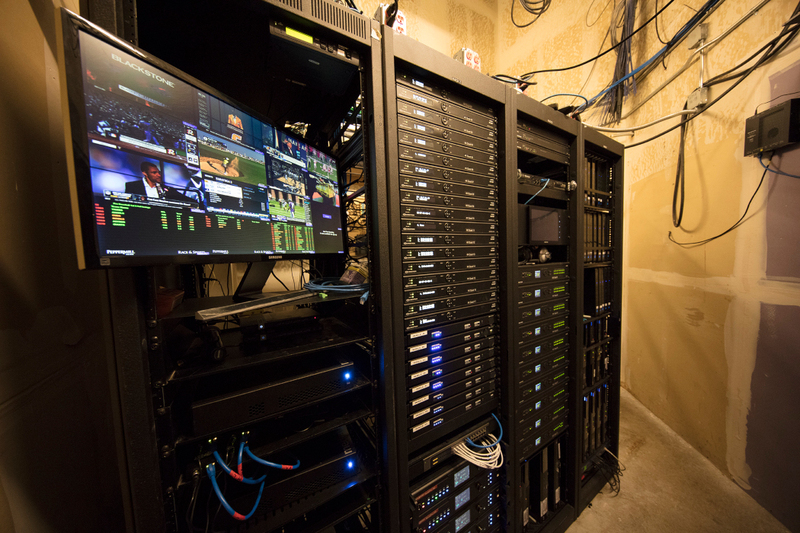 The sportsbook’s control room also holds racks for it signage players and DirecTV modulators, as well as about 40 1Gb switches, which route some of the 4K video from the casino’s network, connected using 10Gb fiber connections. Much of the cabling from the control room to the videowall comes through a break-in wall put there for that purpose. During the construction period, three new Middle Atlantic equipment racks were put in place for the new AV systems; they were positioned three feet directly in front of four existing racks in that space. “There had been an analog control system there, and we programmed the new Crestron NVX-350 codecs in place,” Ness said, using much of the existing Cat5 cabling that was already there, which could support the 4K video content and which enabled significant cost savings. Those same encoders (there are 103 of them in total, as well as 78 NVX-350C encoder/ decoder cards) are used to feed BrightSign digital signage displays in the area. The audio for the sportsbook didn’t change much from what had been in place before. The space still has three separate zones: One dedicated to horse-race calls; another is centered on the main televised sports event of the moment; and another zone is usually kept muted, acting as a barrier between the two. Existing SoundTube commercial-grade speakers were kept in place, although some were slightly repositioned so as better to focus the sound around the new videowall. There are no subwoofers. The installation of the new videowall was also an opportunity to run cabling to the 65 Behringer MicroAMP HA400 four-channel headphone amplifiers that now have a jack installed in each of the Box Seat booths. 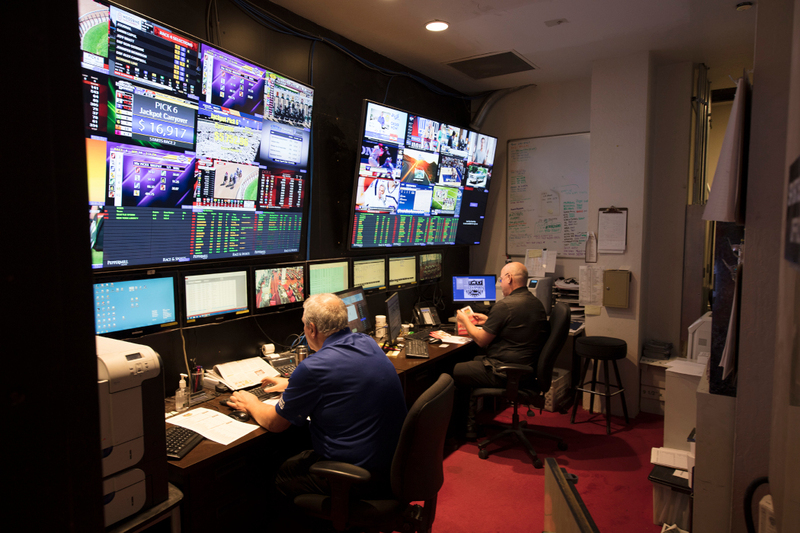 The sportbook’s control room manages all its video feeds using a pair of 85-inch 4K displays that are each divided into 16 different view sections, providing 32 separate preview monitors for the various content feeds. The lack of very much new gear certainly doesn’t mean audio wasn’t considered important for the sportsbook’s renovation, however. “Sound is so important to sports in general, including betting [on them],” Ness affirmed. “It can literally double or triple the intensity of the experience.” Ness added that control of the ambient level in the sportsbook is its most important sonic aspect. An existing Peavey MediaMatrix NION is used to keep the level in the area between 80dBA and 85dBA, along with DSP audio-compression processing to help limit the volume differences between video feeds. (Here’s another bit of wagering-AV trivia: Certain racetracks tend to be louder than others, with Del Mar Thoroughbred Club racetrack (in California) and Aqueduct Racetrack (in New York) being among the best at controlling the level of their broadcast-audio feeds.) In a related move, the casino installed 30 JBL VTX A12 and 20 JBL VTX A8 enclosures in its concert-area PA system. Peppermill’s sportsbook is one of the first of what is expected to become a new generation of betting parlors to come out of the gate in the wake of the newly liberalized regulations around sports wagering. Will audio, video and lighting be a key to their success, as entertainment moves deeper into an immersive and engaging environment? Odds are, they will. In fact, you can probably bet on it. List is edited from information supplied by KniTec Inc. and Peppermill Resorts.